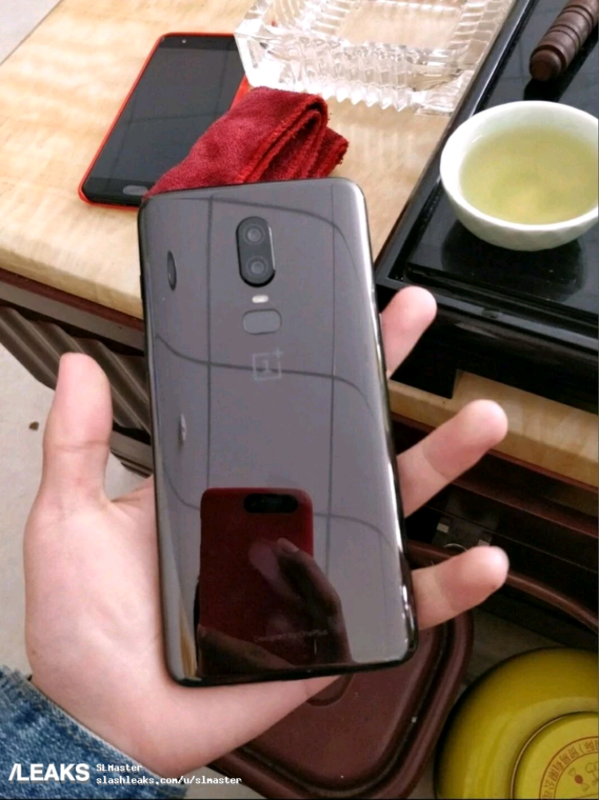 The OnePlus 6 is due to be launched in June later this year as confirmed by the OnePlus CEO in an interview with CNET. OnePlus’s 2018 flagship will be powered by Snapdragon 845, the latest and most powerful SoC from Qualcomm. Initially, it was rumoured that the OnePlus 6 could feature an in-display fingerprint sensor, a revolutionary feature that is currently exclusive to Vivo’s X20 Plus UD. However, if a recent leak is to be considered then the OnePlus 6 won’t be carrying an in-display fingerprint scanner. 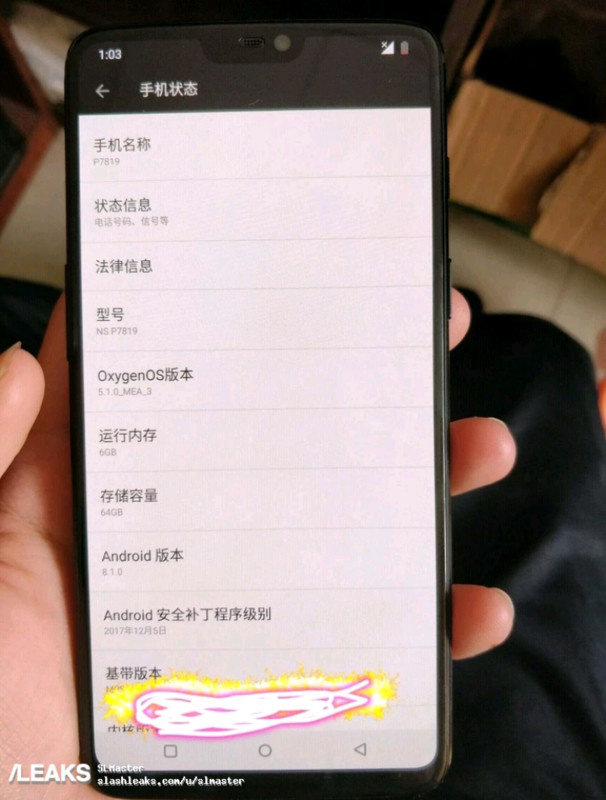 According to a freshly leaked image which is perhaps a prototype, the OnePlus 6 will be sporting a fullscreen display with a notch cutout to achieve a bezel-less design. The notch is identical to iPhone X and a similar notch was recently spotted in a leaked render of Asus Zenfone 5. Compared to iPhone X, the notch is relatively small and seems to house just the earpiece and the front camera. We expect OnePlus would be using the front camera for Face Unlock just like on the OnePlus 5T. As per the leaked image, the dual-camera setup exists but is now aligned vertically and sits in the middle. What’s new is the inclusion of glass body that hints introduction of wireless charging. The fingerprint sensor is found at the back, placed underneath the dual camera system and in an oval shape. The image also reveals that this specific model packs 6GB RAM, 64GB of storage and runs on Android 8.1 Oreo. That said, it would be too early to bet on the leaked information and the final design could differ significantly. After back to back the success of OnePlus 5 and 5T there are lots of excitement about One plus 6.